Home / News / Mutable Instruments PLAITS, MARBLES & STAGES all back in stock! 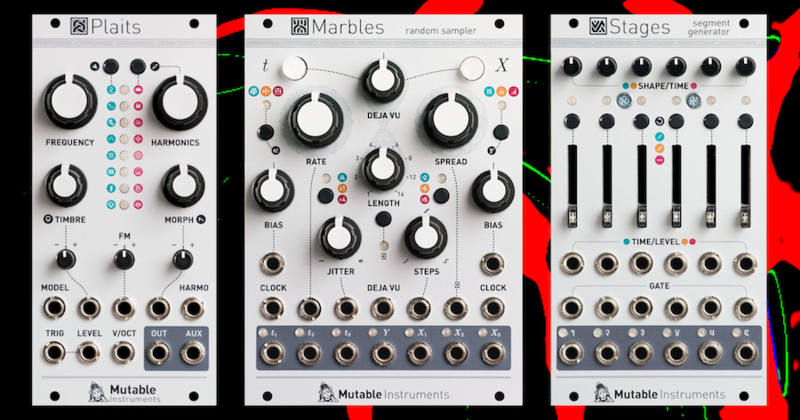 Mutable Instruments PLAITS, MARBLES & STAGES all back in stock! Hey all – the 3 most recent offerings from the Mutable Instruments stable have all been restocked today, and these have all proved extremely popular so grab them while you can! STAGES – Expandable, patch-programmable complex modulation source: ASR envelope, complex 6-stage envelope, LFO, 4-step sequence, switched LFO & more..
ALSO BACK IN STOCK: RINGS, EARS, LINKS, YARNS, BLINDS & much more!